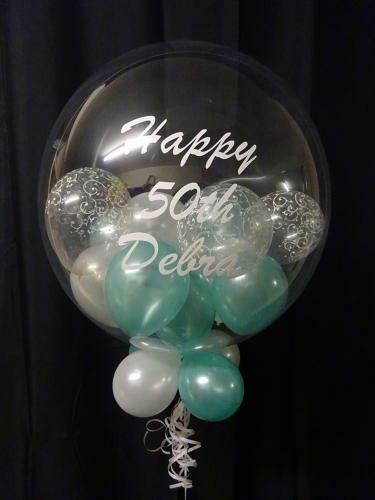 Add a personalised message or name to any giant foil balloon or deco bubble for £4 on one side or £6 on both sides. This is suitable for any plain giant foil supershape, deco bubble or certain printed supershapes like the bubbly wine bottle and beer glass. Please allow 48hrs for this service.